On 10.04.2017 a new term of the NMFRI Scientific Council for years 2017-2021 began. The NMFRI Director, Dr. Emil Kuzebski has called for the session and presided over the proceedings until the Council authorities constituted. 28 persons have been nominated to the Scientific Council and 25 of them were present which ensured the validity of the resolutions adopted at the meeting. The nominations for the Council members were given on behalf of the Minister of Maritime Economy and Inland Navigation by the Deputy Director of the Department of Fisheries, Mr. Kamil Wojnar and by the Director of the National Marine Fisheries Research Institute, Dr. Emil Kuzebski. In the course of voting the Chairman of the Scientific Council, Prof. Zygmunt Klusek, has been elected. Prof. Klusek from the Institute of Oceanology, Polish Academy of Sciences, Sopot had already held this function in the past. Dr.Eng. Agnieszka Tórz, WPUT Prof. from the West Pomeranian University of Technology, Szczecin and Prof. Jan Horbowy from the National Marine Fisheries Research Institute have been chosen as the Deputy Chairmen of the Scientific Council. In addition, members of the Commission for Scientific Staff (Dr. Dariusz Fey – chairman), Commission for Employment Affairs (Dr. Piotr Margoński – chairman) and the Returning Committee have been elected. Iwona Fey, M. Sc. has been chosen again for the position of the Secretary of the Scientific Council. At the end of the meeting, after the presentation on the NMFRI achievements from the last year given by Dr.Eng. 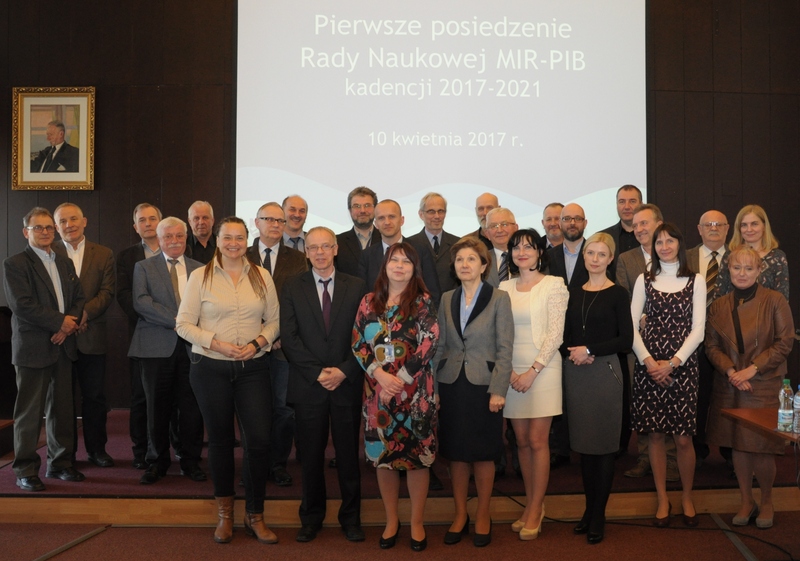 Iwona Psuty NMFRI Prof., the Deputy Director for Scientific Matters, the new NMFRI Scientific Council stated a positive opinion on the Report on the implementation of the National Marine Fisheries Research Institute tasks for 2016.